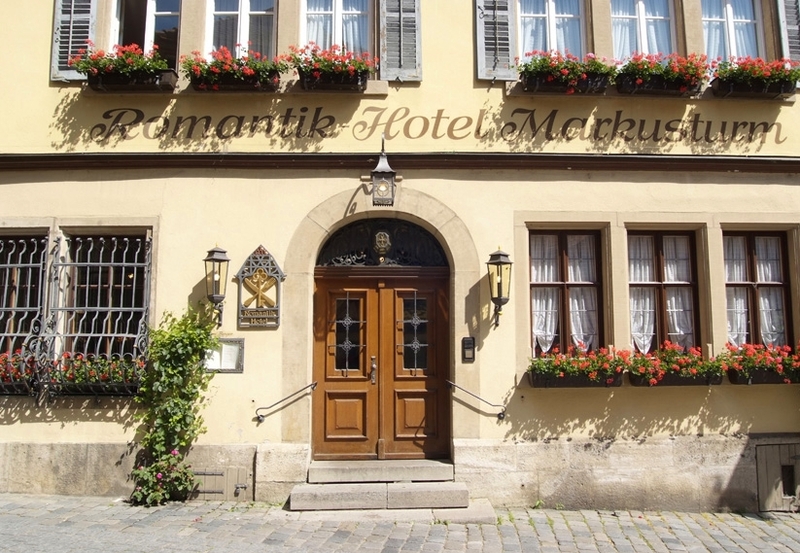 Welcome to Romantik Hotel Markusturm in medieval Rothenburg ob der Tauber! one of the most beautiful gateway structures in our medieval city. Both were built at the same time as the first city ring wall around 1200 AD. Against this backdrop nestles a small tollhouse from the year 1264, a lodge providing shelter for travelers for over 500 years now. It has been in the Berger family for four generations – and has borne the name Romantik Hotel since 1972. 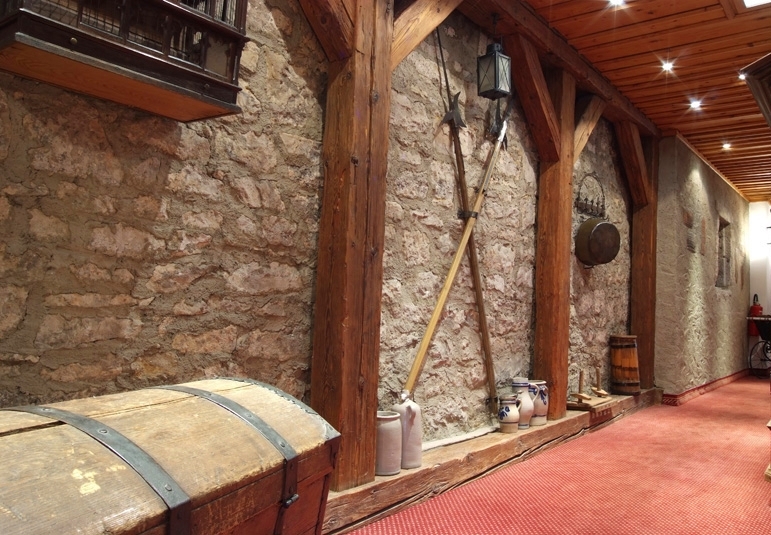 Welcome to Romantik Hotel Markusturm in medieval Rothenburg ob der Tauber! 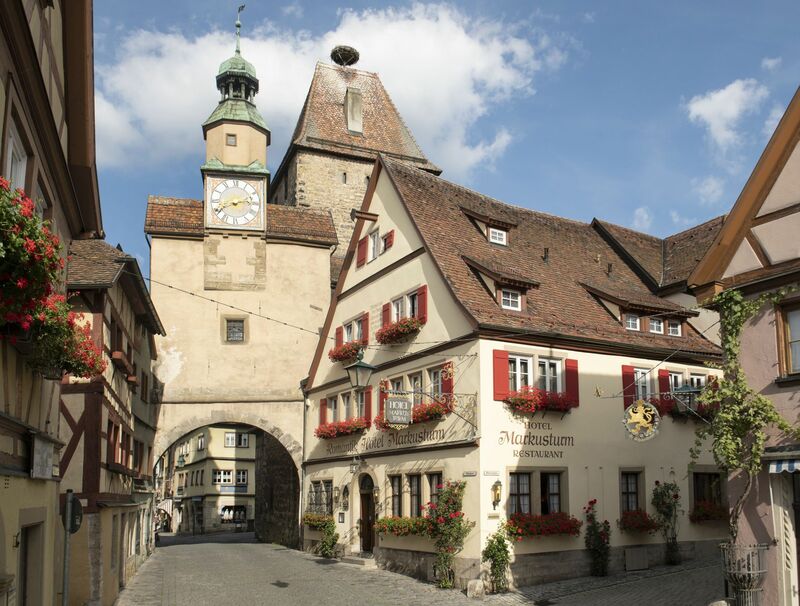 Markus Tower & Roeder Arch one of the most beautiful gateway structures in our medieval city. Both were built at the same time as the first city ring wall around 1200 AD. Against this backdrop nestles a small tollhouse from the year 1264, a lodge providing shelter for travelers for over 500 years now. 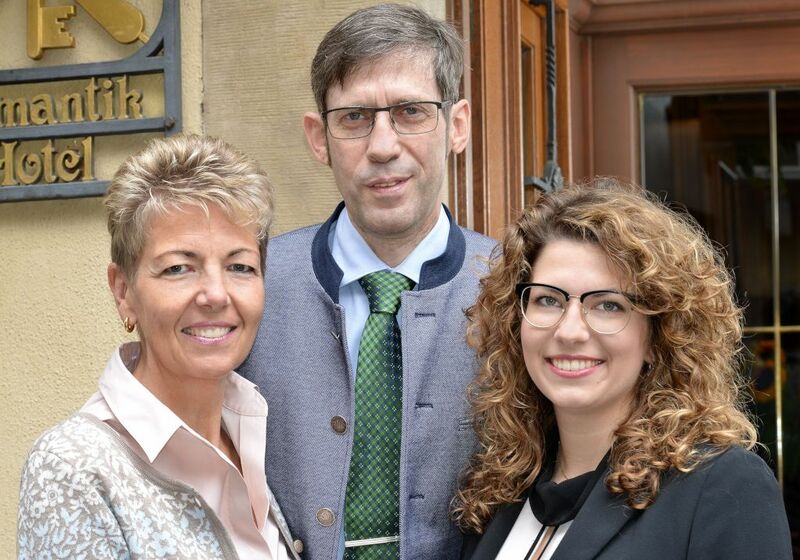 It has been in the Berger family for four generations – and has borne the name Romantik Hotel since 1972. 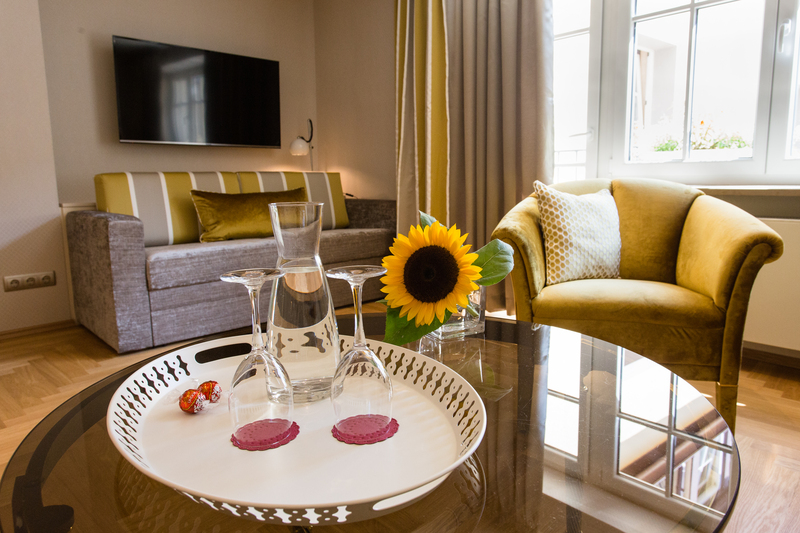 Romantik… Arrive, feel good, enjoy. Recuperate from the stresses of everyday life, far away from noise and hectic. Just like our forefathers, we too have made every effort to preserve the ancient structure of this wonderful building and the values associated with it, while at the same time striving to offer our guests modern comforts. 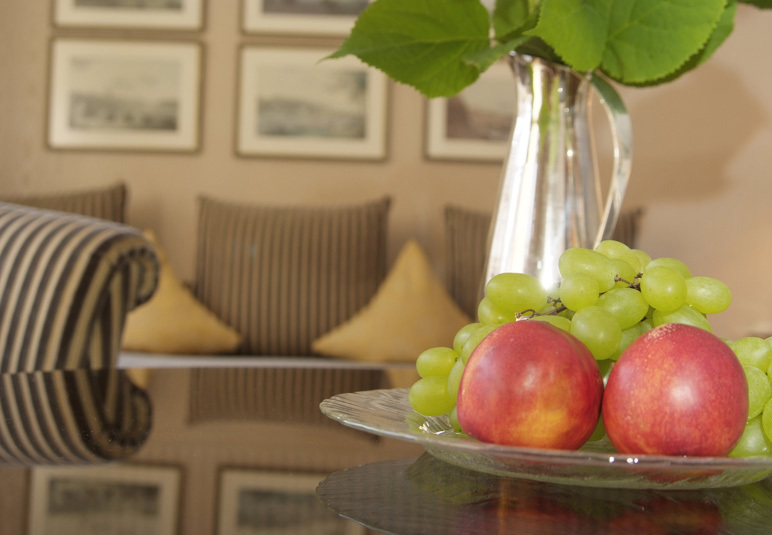 Our rooms are individually and lovingly furnished in a range of modern and antique styles. 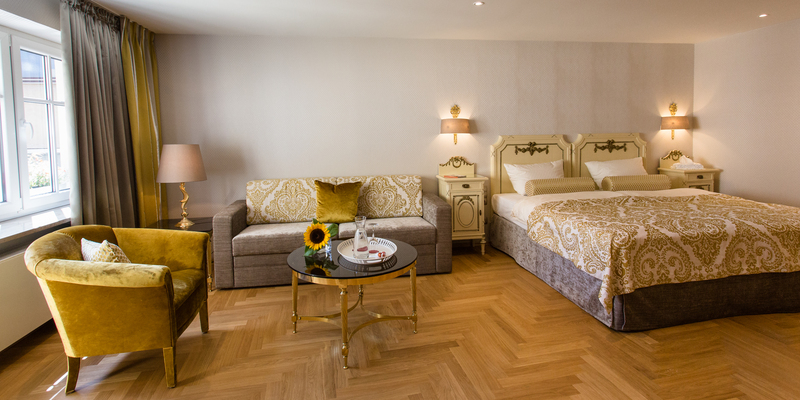 Whether in an authentic Biedermeier room, an Empire suite or an "oasis of dreams" in Laura Ashley style, you will find yourself spoilt for choice. Let yourself be guided by the Markus Tower Stork – a wayfarer welcome wherever he travels, and clever to boot. He knows the pleasant places where you can best relax – and returns there as often as he can. 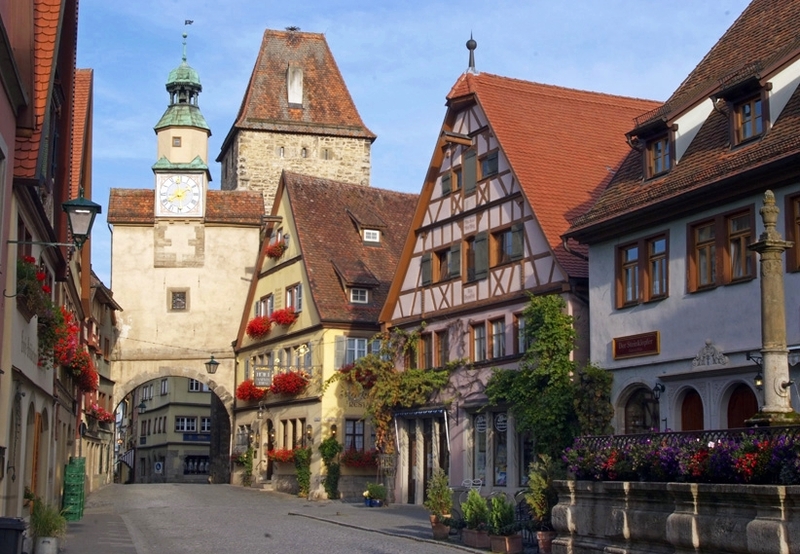 Our magical, dreamlike little town, jewel of the Middle Ages, offers new experiences for all seasons. 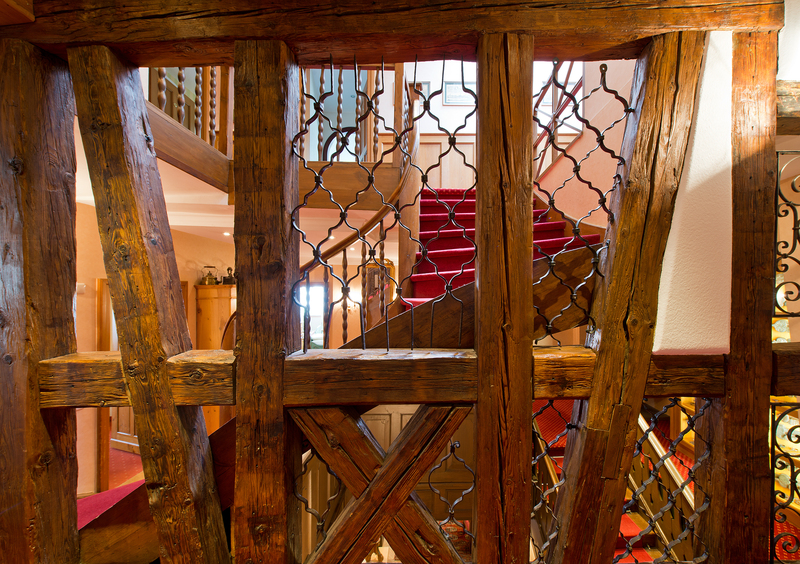 History you can reach out and touch, culture living and vibrant, mysterious alleyways paved in cobbles smoothed with the footsteps of time: Explore the past and discover your own, very personal Romantik oasis in our ancient half-timbered hotel. Let us be your attentive hosts in this historical building with its unique flair and distinctive style. Your hosts, the Berger family.